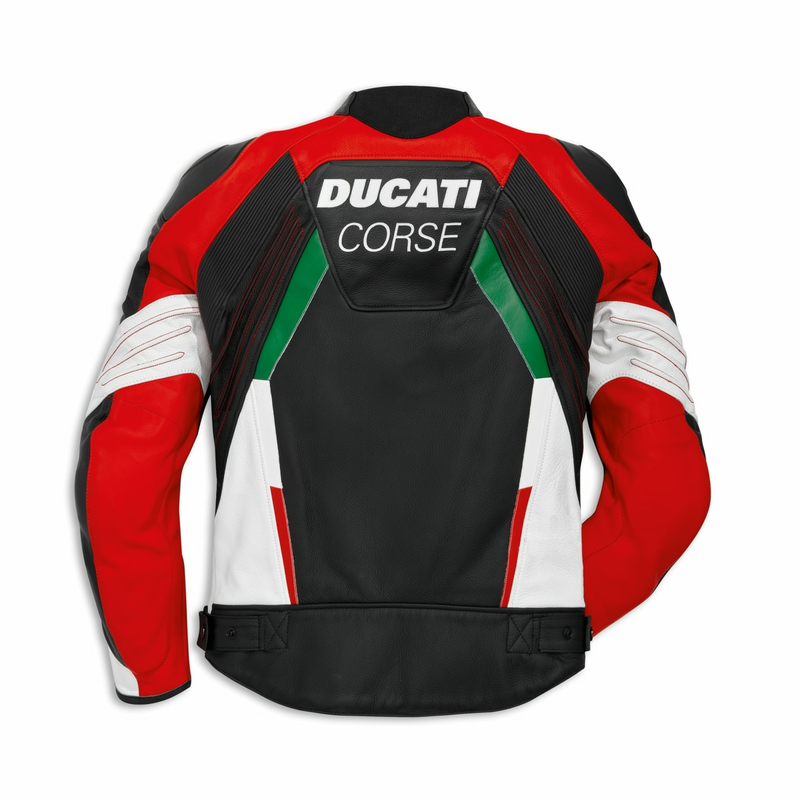 As a symbol of racing passion, the Ducati Corse C3 leather jacket designed by Aldo Drudi is a CE certified garment designed for sports riding on the road. Manufactured by Dainese exclusively for Ducati, the exterior is made from soft and durable D-Skin 2.0 cowhide leather, while its interior consists of both 3D-Bubble and Nanofeel® to ensure exceptional comfort and coolness. Featuring molded aluminum inserts on the shoulders and composite protectors on the elbows, the garment also comes predisposed for the insertion of back and chest protectors. 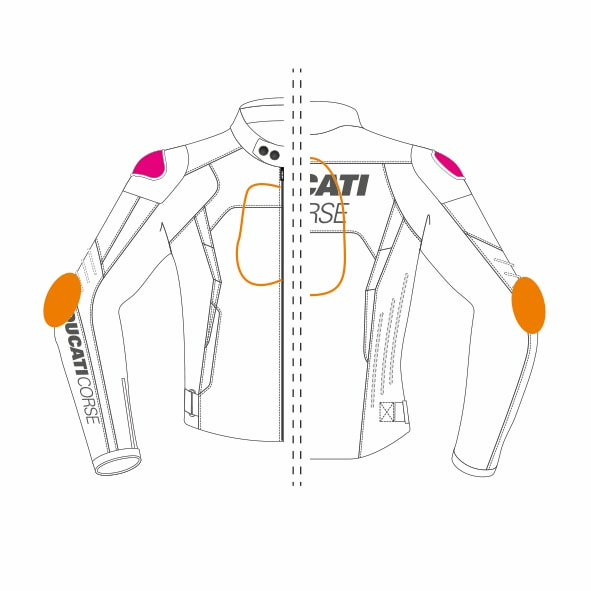 The garment is only available in a men's model, in both standard and perforated versions, with two color variants. 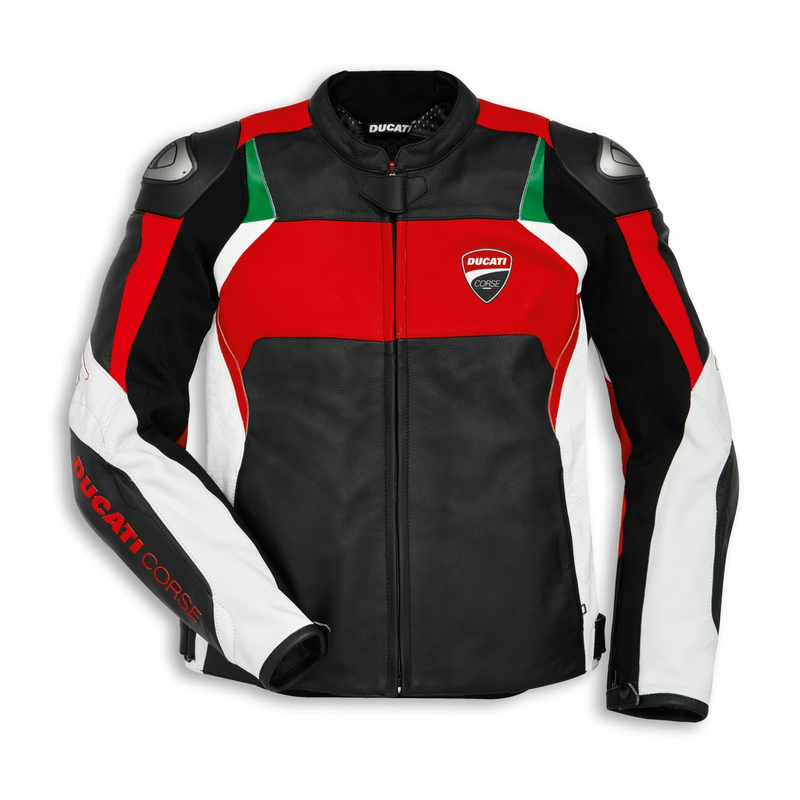 A garment with an unmistakably Ducati DNA.